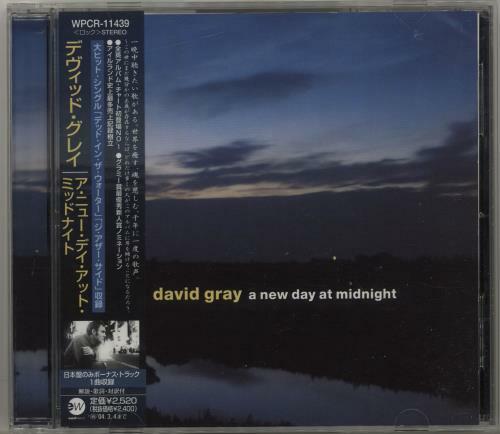 DAVID GRAY A New Day At Midnight (2003 Japanese 13-track promo sample CD album issued to radio stations and reviewers ahead of the release date, including the singles The Other Side, Be Mine and Dead In The Water plus the exclusive bonus recording Lorelei. Custom stamped inner rim on the disc complete with picture sleeve, Japanese lyric insert & promo stickered obi-strip WPCR-11439). or visit our David Gray image gallery.